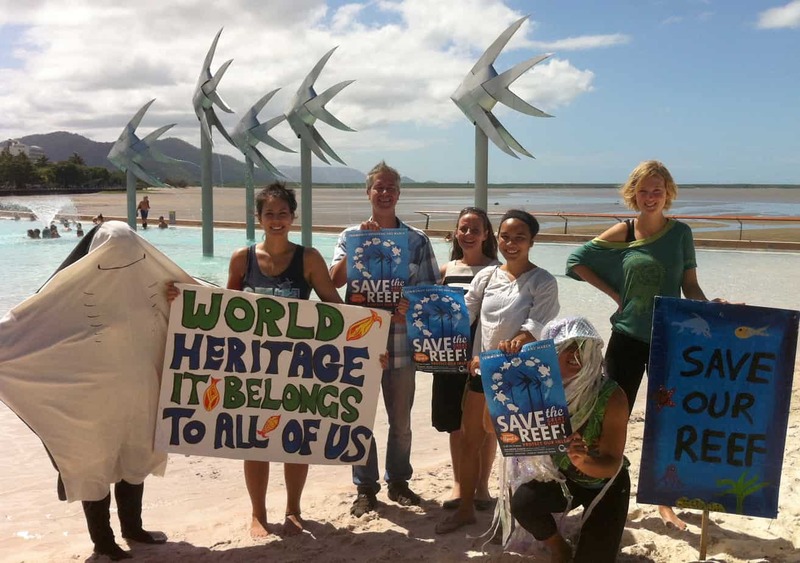 Cairns and Far North Environment Centre (CAFNEC) welcomes the June 2014 decision by the World Heritage Committee (WHC) to adopt unchanged recommendations on improving reef health and keep the pressure on Australian governments to address industrial port development, dredging, dumping and poor reef water quality. 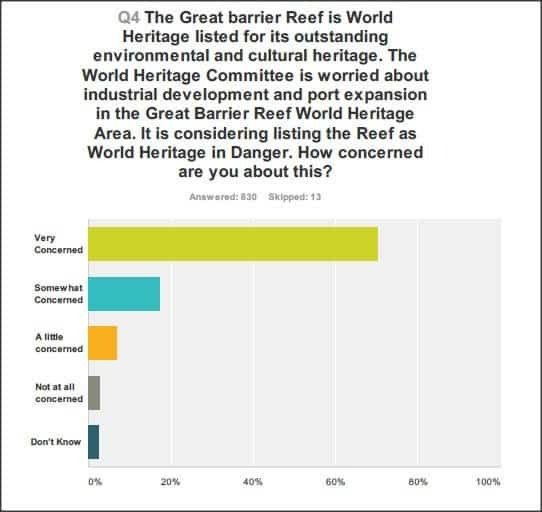 In 2012 the WHC first expressed concerns about reef health, raising the possibility of listing the Great Barrier Reef as ‘World Heritage in Danger’. The WHC were reacting to port expansion proposals along the coast including dredging and dumping of dredge spoil in the World Heritage Area, while assessments showed declining reef health. The committee then gave Australia until 2015 to take action and produce a management plan to address reef health concerns. Despite this, the Australian and Queensland governments have approved further port expansion. The WHC has decided to stick to its guns in calling for improvement in reef management by the Australian governments. 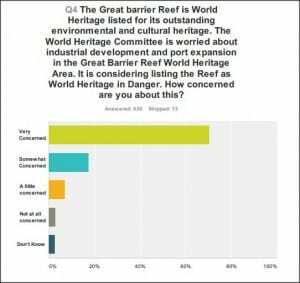 This shows that they clearly have not been fooled by spin and assurances that everything is fine on the reef. The Queensland Minister for Environment and Heritage Protection, Andrew Powell, attempted to convince the WHC that the government was already addressing their concerns, in the hope that the recommendations would be watered down. Instead of swallowing this, the committee took heed of the evidence and denounced recent decisions by the government, such as allowing dredge spoil dumping at Abbot Point. The finalisation of the Strategic Assessment and the upcoming ‘reef 2050 plan’ will have to demonstrate a lot more action to address reef health if the listing of the reef as ‘World Heritage in Danger’ is to be avoided. There is a lot to be done to meet the expectations of UNESCO in the next year and that should include a moratorium on new capital dredging programs, such as the Cairns dredging proposal. Since concerns were first expressed the Queensland and Australian Government have put a lot of work into trying to convince the WHC and the public that they are managing the threats. However, documents such as the Ports Strategy, and recent approvals for dredge spoil dumping in the World Heritage Area, do not adequately address the recommendations. “The major cause for the reef degradation is not only a consequence of extreme weather conditions and climate change as Australian Government documents seem to imply, but also due to human causes and interference,” José Filipe Mendes Moraes Cabral of the Portugese delegation said. The WHC has renewed calls for Australia to take action to restrict impacts from proposed port developments and will defer a final decision and a potential ‘in danger’ listing for another year. Such a major decision will not be taken lightly and ‘in danger’ listing could impact negatively on tourism in the region. The ball remains in the court of the Queensland and Australian governments to lift their game and take the actions required to protect the reef from dredging and other impacts associated with proposed port developments. The recently released report card paints a picture of a reef that is, in many areas, in poor condition. We need to see more effort and money going into preventing damage to the reef and less devoted to spin campaigns that pretend everything is on track. If the Queensland Government is serious about protecting our reef and local environments, they should suspend new capital dredging projects. Instead, we face a fight to protect our Cairns and Trinity Inlet environment and the reef, and to prevent the risk to our tourism and fisheries industries.